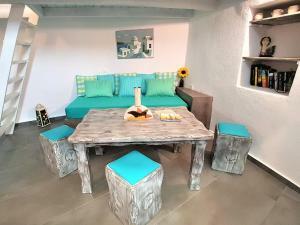 The Aqua & Terra Traditional Houses offers quiet traditional houses with charm in Oia. 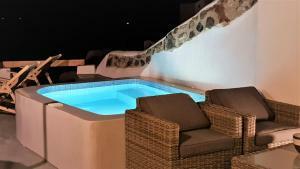 It has private or shared porches overlooking the Aegean Sea and the caldera. The apartments and studios are evocative and have a kitchenette. This private cave house is located on a cliff and offers a porch and views of the volcano. Spacious apartment with private balcony and views of the sea and the volcano. This apartment has views of the Caldera and comes with kitchenware, a balcony and a flat-screen TV.